Google Duo is a new application that allows you to make voice calls and HD video calls online for free. A very interesting app because it includes encrypted conversations, Knock Knock function, special options for slow connections, etc. Available for iOS and Android, you do not need accounts, just the phone number. And you will say, "I already knew, what is the news?" The news is that it has been updated. Finally it has spread globally and not only English-speaking users will be able to make voice calls, now the whole planet with a smartphone can do it. Justin Uberti, Technical Lead of Google Duo, gave the news on Twitter, about seven months after the Mountain View technology giant announced the arrival of this small change. The most language-friendly app is available with Google Duo version 9.1.1516, and should now be available in the Google Play Store for some territories, and in the short term for everyone. 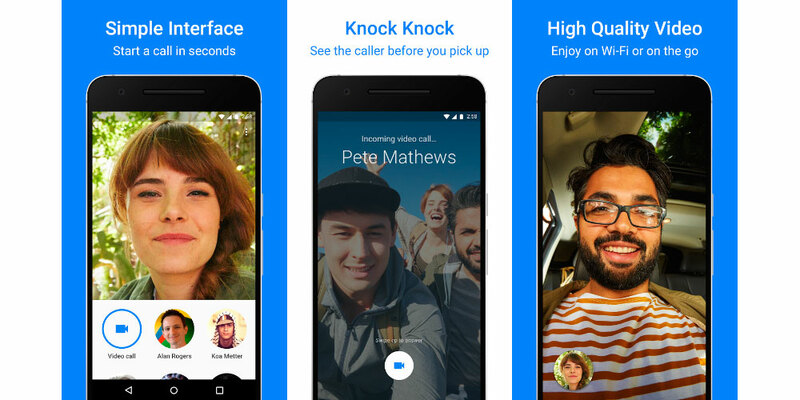 The issue of audio calls is great news, but the Google Duo update also offers a number of arrangements designed to enhance the user experience of the application. Of course, the addition of this feature will certainly be well received by most users who have requested the possibility of making calls in audio only mode. Because when the app debuted for the first time, more than a year ago, it was not possible. With respect to software requirements, the application continues to support all devices with Android 4.1 Jelly Bean and new versions of the operating system. Once the latest stable version of the application is downloaded and installed, a switch at the top of the interface allows you to switch video calls to audio, and vice versa, with one touch. And thanks to this update, in addition, the application is compatible with a greater number of shareable file formats. In addition to the images, it is possible to use Google Duo to share APK, ZIP, PDF and MP3 files, as well as Google Docs files. The Mountain View company is constantly working to implement new features and improve the performance of Google Duo; so that the most significant changes to the application can be expected to be introduced in the near future, as feedback becomes greater.